If you live in or near Boston, you’ve probably heard of AdCare and the work we do fighting the disease of addiction. AdCare Hospital has a long-standing history of being the only hospital in New England that specifically treats substance abuse. With an expert staff that’s equipped to handle all sorts of medical challenges, we at AdCare are proud to offer you a first step on the road to recovery. AdCare Hospital is dedicated to providing an environment safe from complications, whether physical or medical. Additionally, AdCare hospital is accessible only by keycard, so you can rest easy knowing that anybody inside the building is either an employee or cleared by our security team. Our expert clinicians here are AdCare have the ability to treat various co-occurring mental health disorders, including schizophrenia, bipolar, depression, anxiety, and ADHD. As a hospital setting, AdCare can treat some chronic medical conditions. Presently, we can accommodate those who struggle with co-occurring cardiac conditions, respiratory conditions that require oxygen, and those whose are wheelchair bound. AdCare’s staff is comprised of the region’s most highly qualified physicians, nurses, clinicians, nurse practitioners, counselors, case managers, and placement professionals. Approximately 50% of AdCare Hospital’s direct patient care staff is in recovery themselves. AdCare Hospital has a counselor-to-patient ratio of 1:8 for optimal individualized patient care. AdCare is LGBTQI welcoming and has ASL and bilingual staff. Dr. Patrice M. Muchowski, Sr. Vice President of Clinical Services since 2018 and Vice President of Clinical Services since 1988, is also an associate in the University of Massachusetts Medical School’s Department of Psychiatry and a clinical instructor in Harvard University’s Department of Psychology. Dr. Muchowski holds a doctor of science degree and a master of science degree from Boston University, in addition to the following professional certifications: National Certified Addiction Counselor (NAADAC), Certified Alcohol and Drug Abuse Counselor (CADAC), Master Addictions Counselor (MAC), and Proficiency in the Treatment of Alcohol and other Psychoactive Substance Use Disorders (APA). Susan B. Hillis, LICSW, CADC-II, LADC-I, has served as Treatment Director since 2006. Prior to being named Treatment Director, she was Director of Rehabilitation Services at AdCare Hospital and Director of AdCare Outpatient Services offices in Worcester and Boston, Massachusetts. Ms. Hillis received the Massachusetts Association of Alcohol and Drug Abuse Counselors 2015 Robert Logue President’s Award for her support of MAADAC membership and her dedication to substance use treatment, recovery, and professional credentialing in Massachusetts. A former Board Member and Chair of the Massachusetts Professional Recovery System (MPRS), she currently oversees clinical practicums for students in the Addiction Counselor Education (ACE) Program at AdCare, and provides clinical supervision for students in MSW Programs at a number of schools. Ms. Hillis presents frequently on substance-use related topics locally, regionally, and nationally. She holds a master’s degree in social work from Boston College, and an undergraduate degree in music therapy from Anna Maria College in Paxton, MA. Mohammad Alhabbal, MD, Medical Director, is certified by the American Board of Addiction Medicine (ABAM) and the American Board of Family Medicine (ABFM), as well as a member of the American Society of Addiction Medicine (ASAM) and the American Academy of Family Physicians (AAFP). A graduate of the Damascus University Medical School in Damascus, Syria, Dr. Alhabbal completed his Family Medicine Residency at the University of Massachusetts Medical School in Worcester, Massachusetts, where he is an Assistant Professor in the Department of Family Medicine, Hospitalist Division. Dr. Alhabbal is also a family practitioner at 200 Lincoln Street Primary Care in Worcester, Massachusetts. 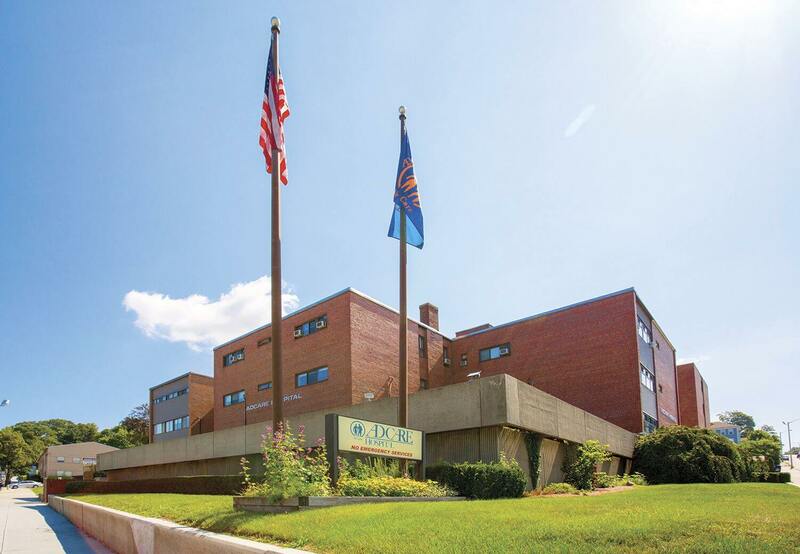 The Joint Commission for Behavioral Health Care AdCare Hospital is accredited by The Joint Commission for Behavioral Health Care, an internationally-recognized symbol of healthcare quality and the gold standard of care for the industry. This accreditation signifies that, through external, unbiased evaluation, we have met or exceeded The Joint Commission’s standards for providing addiction treatment for all of the levels of care offered at AdCare Hospital, including high acuity medical detox.